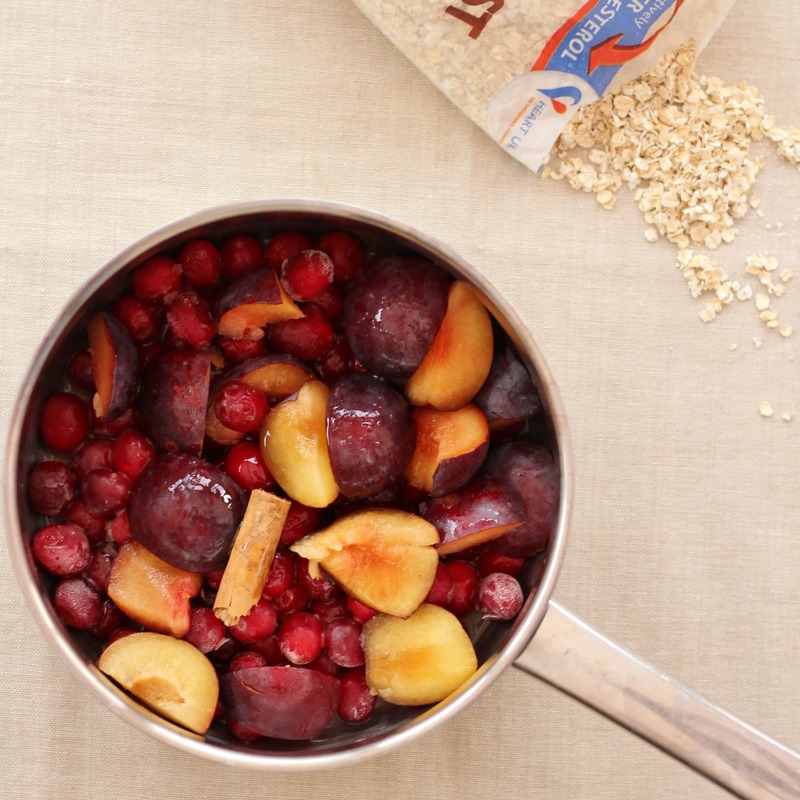 Christmas in porridge form! 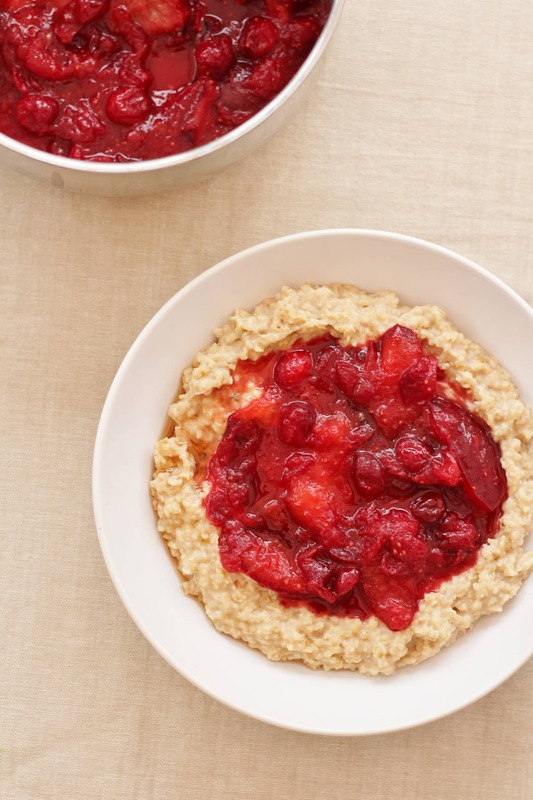 Not only is this Cinnamon Porridge with Cranberry and Plum Compote so much healthier than traditional Christmas breakfasts, it’s so much yummier too! And it’s gluten free, dairy free and vegan, meaning almost everyone can enjoy it!! What do you usually have for breakfast on Christmas morning? Smoked salmon and scrambled eggs? Cinnamon buns? The full English? Or something else? We usually go for croissants or pains au chocolat, but whilst they are delicious, they are not exactly the healthiest choice! All this year I have been trying to improve my diet and make it more healthy, all whilst keeping my food easy to make, and most of all delicious! 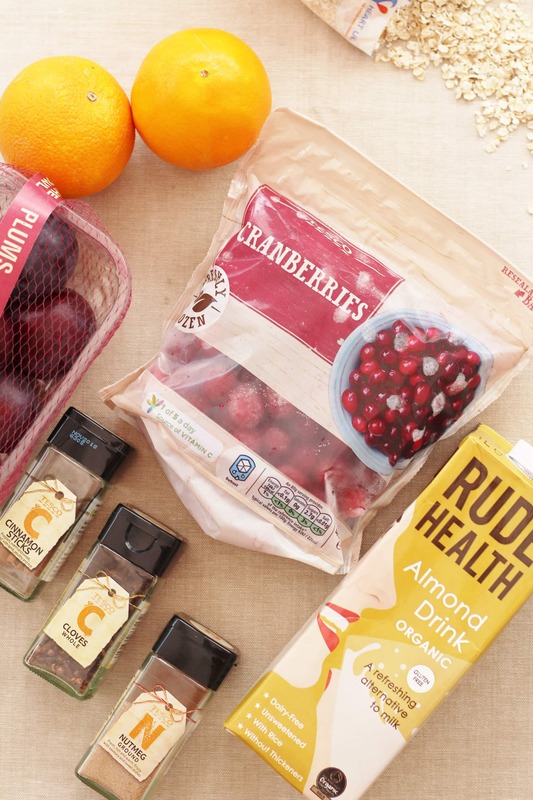 This got me to thinking…could I create a healthy breakfast for Christmas day, that I would look forward to just as much as croissants and would be easy peasy too? 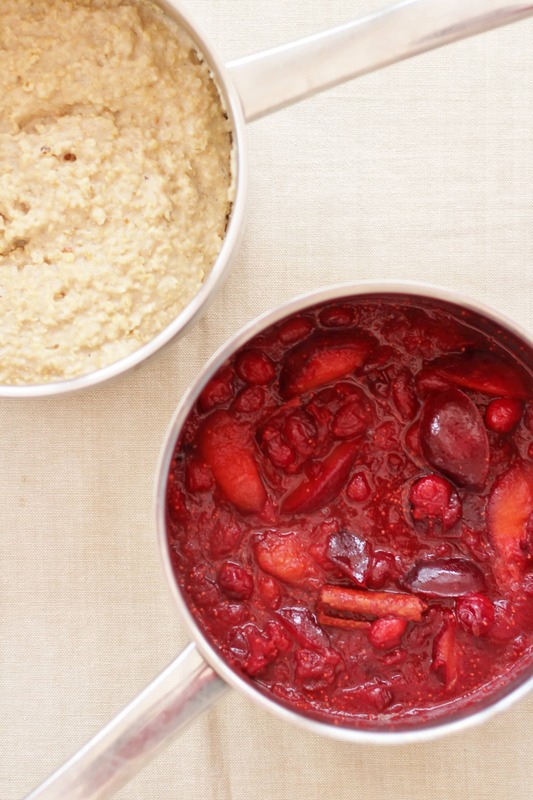 So I got to work in the kitchen experimenting with various ideas and came up with this delicious and super Christmassy Cinnamon Porridge with Cranberry and Plum Compote. It only takes a few minutes to make, but if you wanted to make life even easier for yourself on Christmas morning, you could make the compote in advance. In fact, I really recommend that when you make this compote, you make a double quantity as it goes really nicely with yogurt too, making a delicious and really easy pudding or breakfast idea for later in the week. 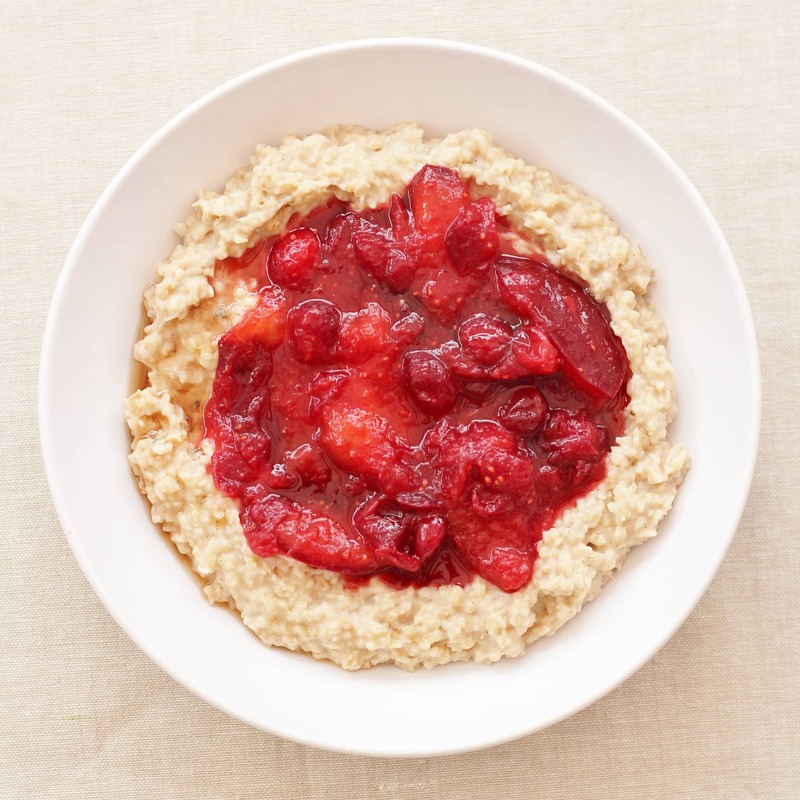 This porridge is not just delicious, healthy, easy and super Christmassy, it’s also gluten free, dairy free and vegan, so almost everyone can enjoy it!! 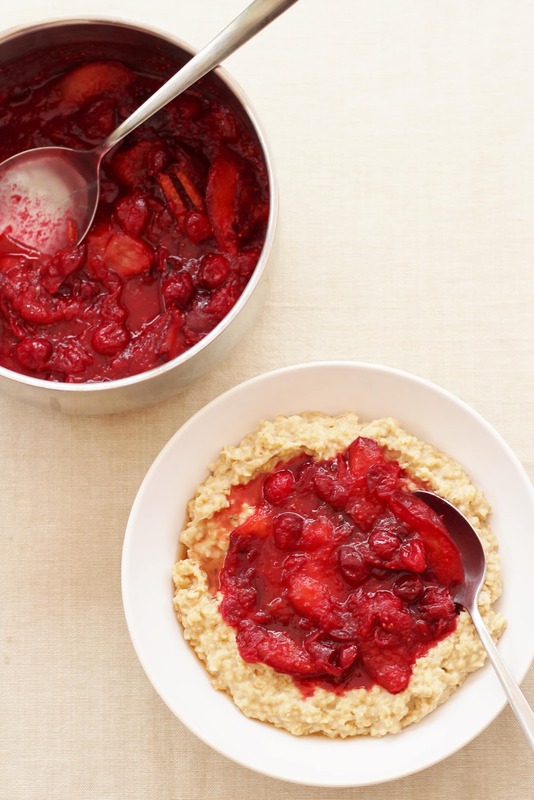 And don’t just keep it for Christmas…this healthy breakfast will be a lovely warming choice in chilly January too! Place all the ingredients in a pan, stir thoroughly and simmer gently for 5 minutes or until the porridge is your desired consistency. Serve with a generous blob of the compote. 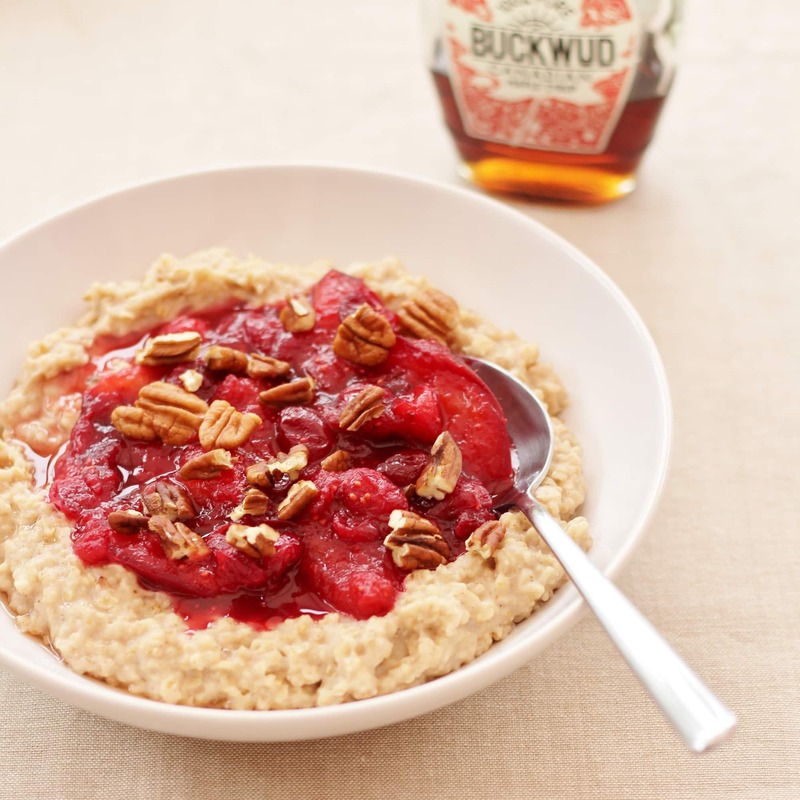 Scatter with pecans and drizzle with more maple syrup.